Situated on a 650m private beach and just 10 minutes’ walk from the town of Serigerme, Hilton Dalaman Sarigerme Resort & Spa brings you a vast selection of things to do, meals to eat and places in which to relax. There is a total of ten swimming pools in addition to water and land sports, a full-service spa and numerous bars and restaurants. There is both an adult and children’s waterpark, kids and youth club, 6 tennis courts and plenty of water sports. There is also a garden filled with reptiles, wild birds and more, a farm with many animals and mini golf. This suite features a separate bedroom and living room and direct access to the pool from the balcony. This room features a serenity bed, bathtub and separate WC and a balcony overlooking the sea. This suite features two bedrooms and showers set over two floors along with a living room and sauna. This suite features a Balkonda private pool, sauna and Jacuzzi as well as two bedrooms. Alize serves Italian cuisine between 19:00 – 22:00. Open 7 days a week & adult only. Breeze has live music evenings along with cocktails and fresh fruit. Vitamin Bar serves fresh fruit, vegetable juices and hot drinks. The coffee shop serves a range of drinks, pastries, cakes and ice cream. Drinks and live piano, open 24/7. Designed as a sailboat with views over the beach. Serving cold frozen drinks and tropical cocktails. There are two teppanyaki stations and a sushi bar. Open from 19:00 – 22:00. Sarigerem has 7 open Turkish and world cuisine buffets, as well as a children’s buffet and healthy food section. 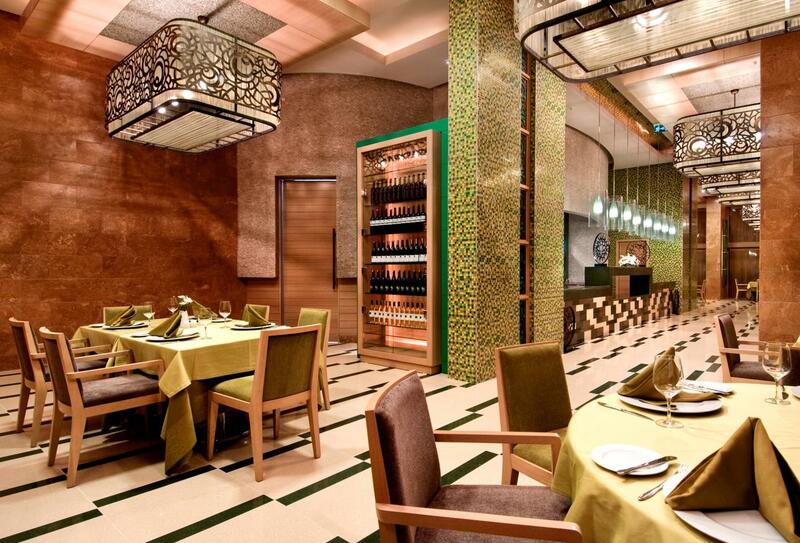 Finesse serves Indian cuisine between 19:00 – 22:00. Serving Aegean cuisine and seafood. Open between 19:00 – 22:00 and is only open during the summer. A La Turca serves Turkish cuisine and is open from 19:00 – 22:00 during the summer months. 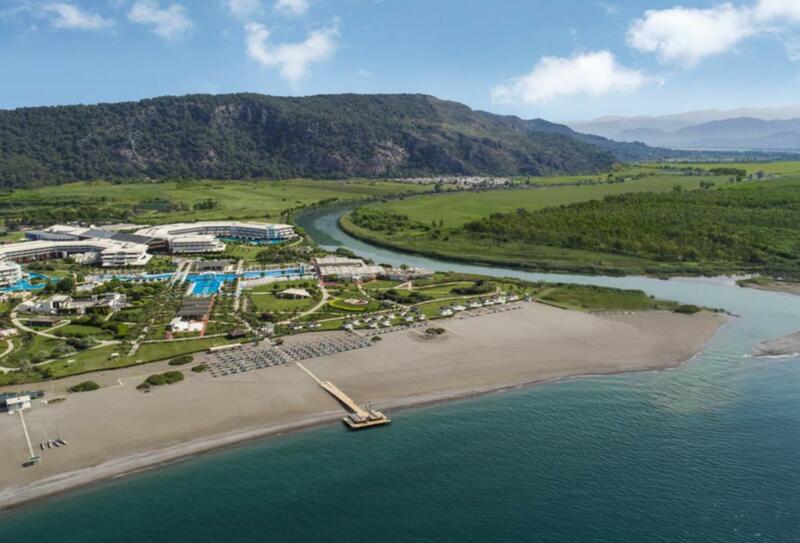 Hilton Dalaman is set on a private beach next to the Dalaman River on the Aegean coast. Dalaman Airport is a 20-minute drive from the hotel.